Surah Al Ikhlas - Oneness of Allah: Summary of 112th Chapter of The Holy Quran ~ Islam My Ultimate Decision . 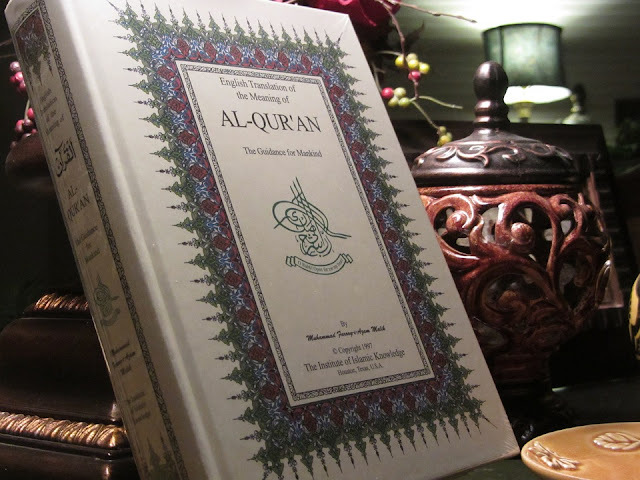 The basic theme of Islam revolves around the Oneness of Allah and this has been highlighted at many a places in the Holy Qur'an. However, if there is one single chapter or surah which sums up the oneness of Allah is Sūra al-Ikhlāṣ. This surah, the 112th chapter of the Qur'an consists of five verses only, but embodies in itself the clear message of monotheism for there being none equal or comparable to Allah. This short but meaningful surah was revealed unto Prophet Muhammad (peace be upon him) in the early days of Islam when a group of infidels of Makkah came to him and asked about the "genealogy of Allah." And to answer the query raised by the non believers, Allah revealed Sūra al-Ikhlāṣ as an answer to the question of the people of Makkah. 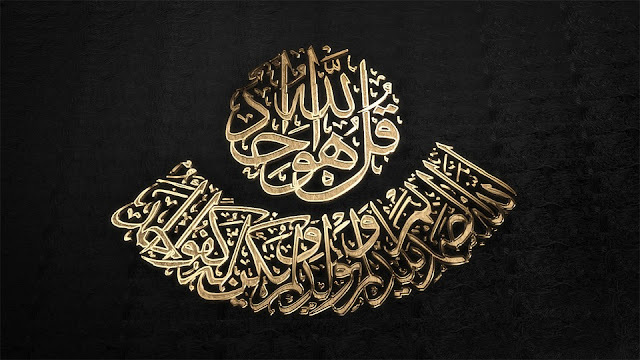 Say (O'Muhammad), “He is Allah, (the) One (Ahad - In Arabic Ahad means One). This chapter of Qur'an clearly sends down the concept of absolute monotheism and dispels any notion of there being any equal or comparable to Allah and amply clarifies there is only Allah, like the God of Jews. But not like the God of Christians which also shares the title with two other. This, however, does not mean that the three leading religions of Jews, Christians and Muslims worship a different God , because all religions believe in One True God, though with passage of time the term has assumed different meanings due to distortions and man made beliefs and interpretations. We Muslims thus believe that there is no plurality of gods, as the polytheist society of Makkah believed. It is Allah alone to whom we turn to, depend upon and will return to on the Day of Judgment. He has the absolute power and doe not need anyone else to be dependent upon. Even when the entire universe comes to an end on the Day of Judgment and all living things will cease to exist, Allah will still remain forever. It also negates the claims of the pagans of Makkah that angels are the off springs of Allah. The surah clearly states that Allah is far above being the progeny of anybody or having any offspring. Thus He has no son or father. He is eternal ,without beginning or end. He is such a unique being that there is nobody like Him or equal to Him in any manner whatsoever. This surah also clarifies the question "Who created the creator?" The answer is simple: one of the characteristics of the creator itself is that he is not created. If the creator was created it automatically means it’s not the creator. Allah is therefore eternal, without beginning or end. Therefore associating any humanly creation with limited attributes to be like Allah who created the fathomless and endless universe, which is yet to be scaled or measured even with the most advanced means like the Hubble Telescope and other scientific discoveries. This fact has also been emphasized in the Āyat al-Kursī, the summary of which has already been posted earlier in this blog. Allah is not confined by space and time and He alone without assistance of anyone controls all what He has created and sustains it through His absolute and unmatchable powers.